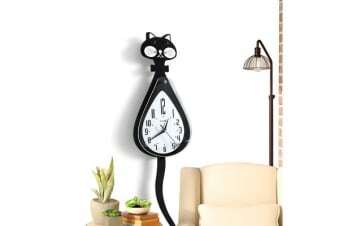 This sleek animated Cat Clock, is back and better than ever, in classic black! If you’re familiar with the famous Kit Cat clock, which became popular during the Great Depression, then you’ll love this modern spinoff. Just like the original retro cat clock, it moves her tail as the clock ticks. And she’s better at it, too! 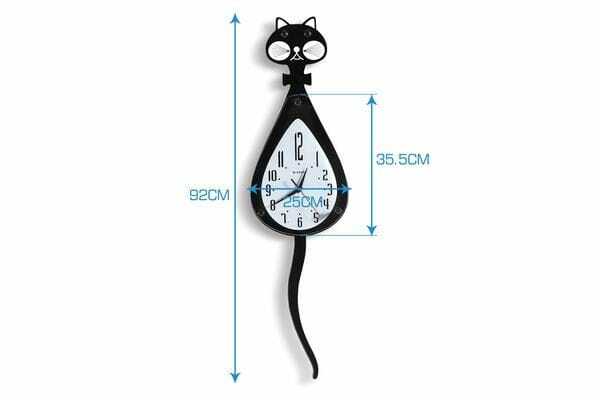 Any cat lover will get a kick out of this animated cat clock, which adds an unforgettable, entertaining presence to any room.